Doulas, of course, offer that continuous one-to-one support — and trust me when I say that no matter how amazing your partner/mom/BFF/OB-GYN is, when you’re about to bring a new person into the world, having someone who’s 100 percent there for you, your baby, your birth and your needs is huge. Again, doulas are there to support you — not tell you what to do or what not to do. 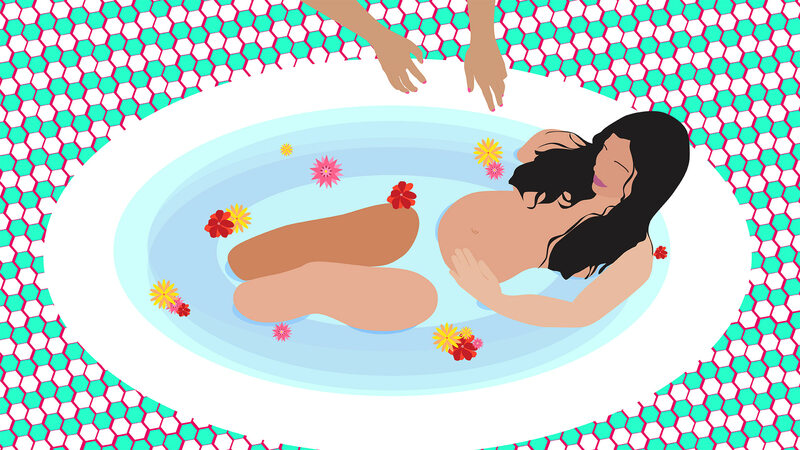 “You do not need my permission to make a decision, to change your mind, to do what you feel is best for you and your body and your baby,” says doula Elisa Havens-Stokes. “Doulas do not replace partners, but enhance their role,” says Finchum. And in fact, doulas can provide support to partners too. “We forget that fathers and partners are emotionally attached to this situation, and they’re transitioning into parenthood, and they’ll probably need to take a break at some point,” Brooke says. A doula can reassure your partner and be there for you if and when your partner needs to go get a cup of coffee.